With IBM Watson CXA you will see your sites and apps from your customer perspective to discover opportunities. 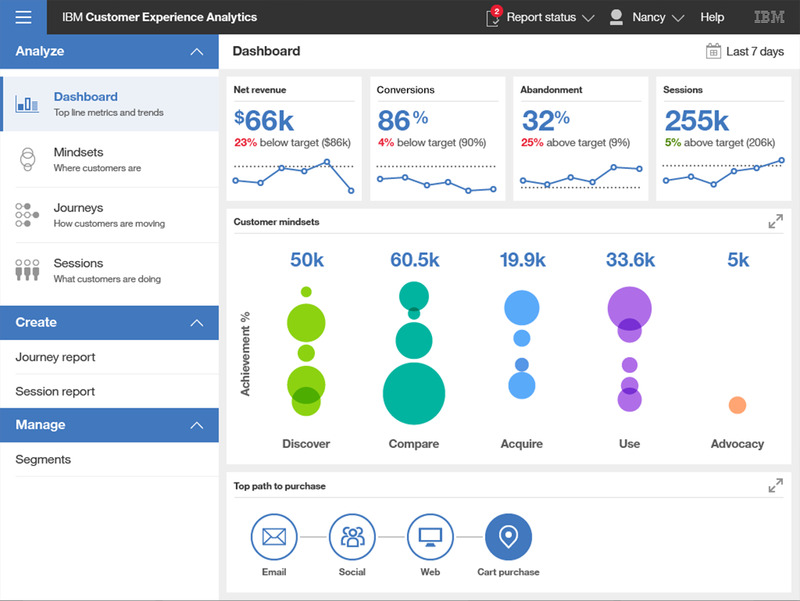 Integrating capabilities from IBM Digital Analytics, IBM Tealeaf, and Journey Analytics; IBM Watson CXA provides a seamless, end-to-end view of the customer experience to understand and optimize every journey. Gain the insights you need to resolve issues, boost conversions and maximize lifetime customer value. Pereion Solutiions can help your company build a roadmap of these capablities. Please fill out the form on the right for a completely customized demonstration of Watson CXA, complimentary until June 30, 2017.